To commemorate the 25th edition of the SXSW Film Festival, we continue our weekly alumni spotlight on careers launched, artists discovered, powerful performances, and more with filmmaker Keith Maitland. Maitland is a documentary storyteller whose narratives all revolve around the people and history of Austin, TX. In 2009, Maitland premiered his directorial feature debut, The Eyes of Me at the SXSW Film Festival. Tower premiered at SXSW in 2016 and won the Grand Jury Award and Audience Award for Documentary Feature, as well as, The Louis Black “Lone Star” award. Tower is based on writer Pamela Colloff‘s Texas Monthly feature 96 Minutes, about the UT Austin sniper. Maitland used a mix of animation, interviews and archival footage to bring Tower to life. That same year, Maitland directed A Song For You: The Austin City Limits Story which gave audiences a backstage pass into the show’s evolution. A Song For You won the Audience Award in the 24 Beats Per Second category. We are honored to share his #SXSWFilm25 story with you. 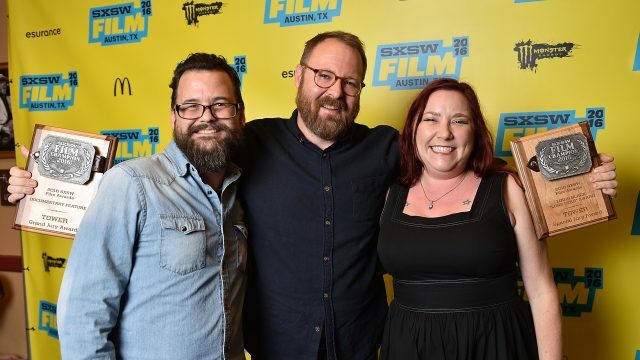 “I love SXSW – the entire city is alight with parties and music and distractions of every type, and none of that matters when you step into the darkened theater to be transported by the incredible array of movies and premieres that Janet and Jarod bring to the screen. My first night ever in Austin was SXSW 1994, spring break of my senior year of high school – it was the very first year of movies at the fest and I saw a doc called Janis Joplin Slept Here. I didn’t know much about Austin but that first night of SXSW convinced me that I could live and thrive in this town, and a few months later I was an Austinite.